Londoners are now able to help combat homelessness without the need for spare change thanks to the installation of new contactless donation points. The terminals are run by the not-for-profit TAP London and allow passersby to donate £3 by simply holding up their card to the reader. The money is then divided amongst 22 charities fighting homelessness throughout the city. In a response to people carrying cash less often, 35 terminals have been installed with plans for up to 90 in total. Homelessness is at an all-time high in the capital, with more than 3,000 people reported during this past summer. The effort is part of a £1.2 billion plan to cut homelessness in half by 2022 and end it completely by 2027. 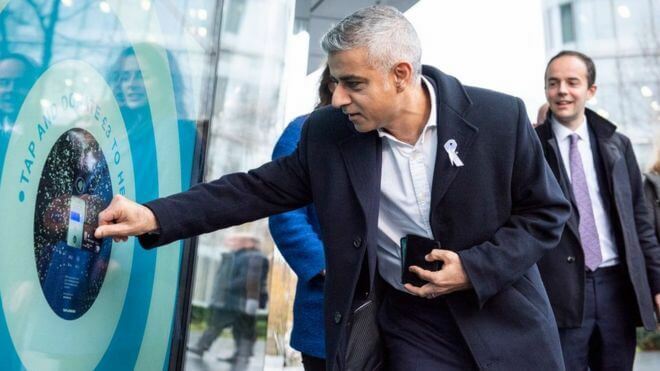 As London Mayor Sadiq Khan said, "These new contactless donation points will make a big difference in encouraging Londoners to do their part to help."